Straker, Watkins and Compton start. Kelly and Richards on bench.Smith has presumably returned to Swindon. Ross puts City 1 up. Chelmsford equalise in dying mins. Pretty good match from my perspective. I’ve not seen us win yet this season so perhaps my expectations are modest, yet we put some good passing moves together in the first half and but for a superb save from their keeper and a disallowed goal for offside we would have taken a deserved lead into half time. The second half was strikingly different as we battled to keep them at bay. Despite this the loss of Watto to a knock and the introduction of Richards could have led to a second goal had anyone other than Richards been in the foot race for a misplaced back pass that the Chelmsford defender just managed to scramble clear. Ultimately we were undone by their last meaningful attack, by which time the players were exhausted. I went home happy having expected a thumping. A very fair summary, Demon Headmaster Advisor! But I'm surprised you didn't mention the clear handball in the first half which looked like it was in the home penalty area. Can only assume the ref and lino didn't see it but if that's not handball it makes a mockery of many of the decisions made at the highest level. A game which we could have easily won or lost in the end. Both keepers made outstanding saves and the minute leading up to Richards' failed attempt was probably the most exciting and bizarre of the season! Did the Chelmsford header hit our post or bar? The handball was nailed on but outside the area. Chelmsford header was cleared off the line by Straker before the breakaway (not Amankwaah as I said on commentary). It was still a terrific commentary by all concerned. I must confess I was basically guessing who was on the ball in the last half hour or so. Not a bad commentary location in daylight, tricky when the lights come on. There's also a hint of handball about Stearn's goal having watched it back. 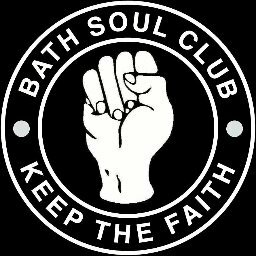 https://soundcloud.com/bath-city-internet-radio/sets/chelmsford-away interview with Jerry and Ross Stearn after the match.